In literature there is a large range of bandgaps reported for different types of materials. Exploring these resultes from a first-principles approach show that the issue could be due to high-frequency oscillation of bandedges within the material. 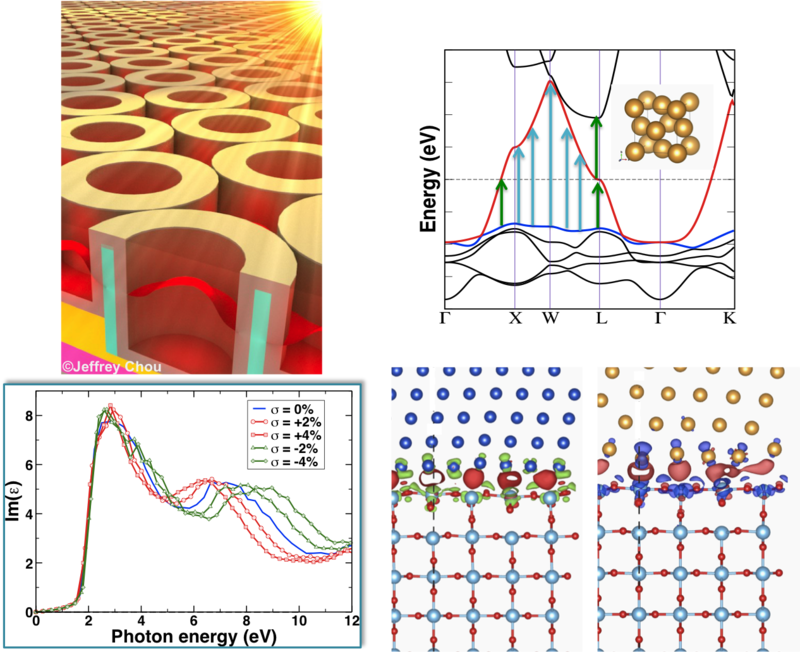 Nano-engineered metal dielectric photonic crystals (MDPhC) are promising structures for an ideal selective absorber/emitter (broadband and wide-angle solar energy absorption, high-temperature stability, and scalable fabrication). By utilizing their unique light-trapping properties in photo-catalytic reactions, drastically improved solar-to-fuel efficiency is expected to be achievable. A key component to this success would be the efficient generation and transport of hot electrons into catalytic layers of MDPhC devices.